Meet Muhammed-Naziru Halliru, a State Coordinator with our program delivery team! Naziru is involved in planning, organizing and delivering activities to ensure that the objectives of the Geo-Referenced Infrastructure and Demographic Data for Development (GRID3) project are achieved. Following the mapping of the 36 states of Nigeria, he coordinated stakeholder engagement at the state level to garner government support for the use and application of geospatial data for better economic planning, resource distribution and decision making across a variety of sectors including health, education, agriculture, housing, and transport. In addition to this, he supports capacity building activities for data managers at the State Ministry of Health, State Primary Health Care Management Board and the Health Management Information System department to equip them to manage, analyze and use the data stored on the GRID3 portal. 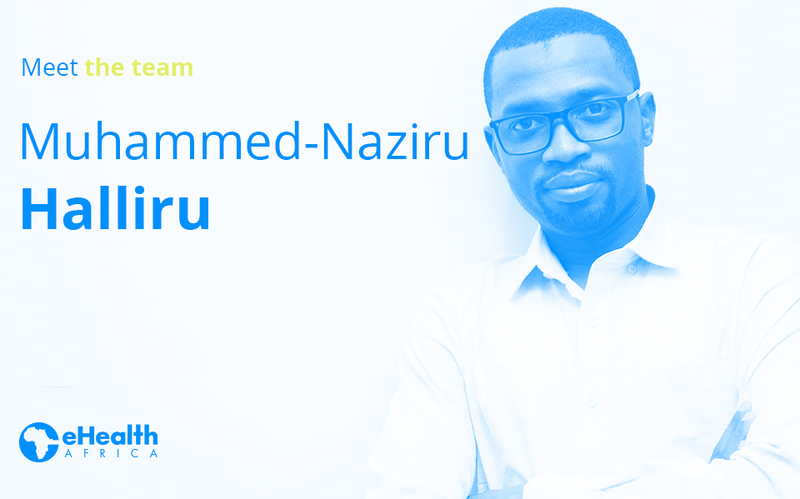 Although he has been with eHealth Africa for only a year, Naziru has made very significant contributions to his team and project. Under his supervision, the GRID3 project mapped 10 states across three geopolitical zones: North Central, North East, and North West and collected geospatial data on 19 point of interest categories. This data has been instrumental in improving the impact and effectiveness of polio eradication efforts in these states. Naziru credits eHA with his new exposure and familiarity with technological tools which have enabled him to achieve his work goals more efficiently. eHA, according to him, has improved his communication and stakeholder engagement skills, which he believes will be invaluable to him in the long run.